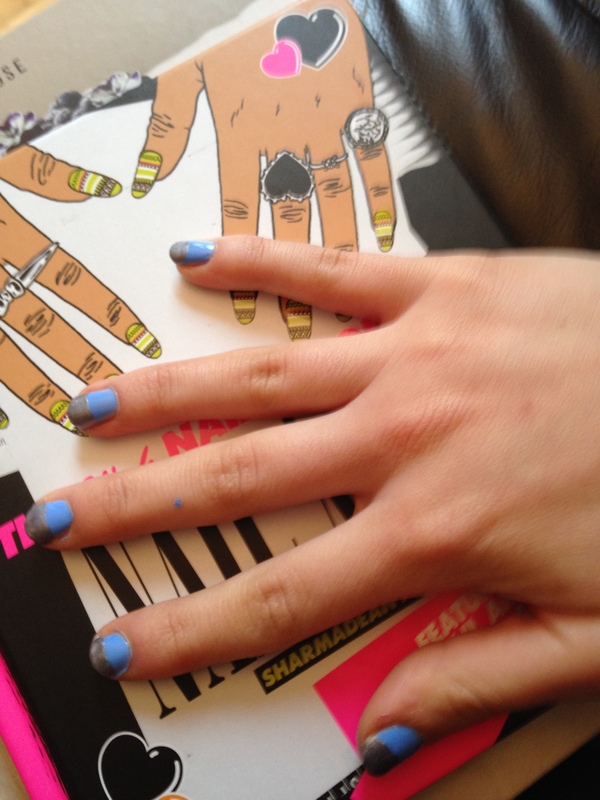 For my birthday one of the presents from the girls was an awesome Nail Art Book with loads of cool patterns and paint ideas to try for my #MidweekManicure posts. 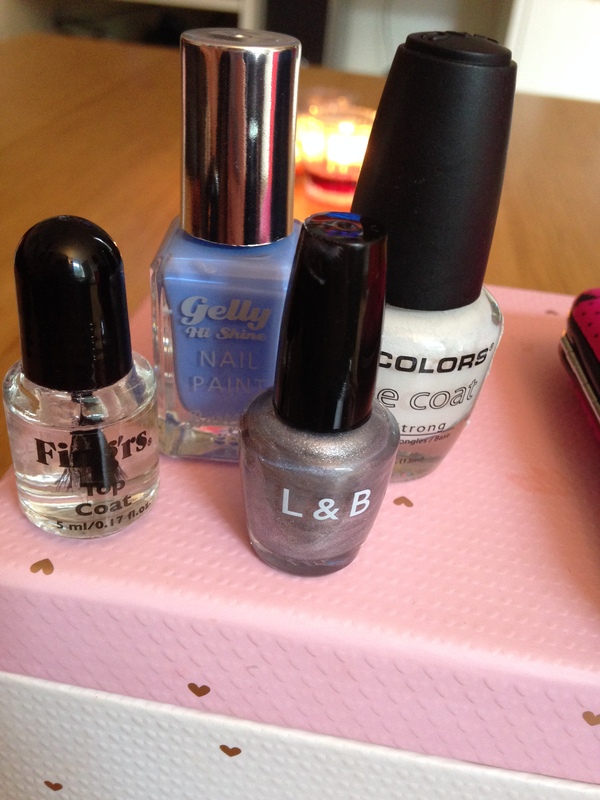 This week I decided to try out the block effect on my nails using a pastel blue shade and a metallic silver together. The girls got me a new BarryM Gelly paint in the Blueberry shade- a gorgeous colour for this Summer season and it matches perfectly with my new dress! This nail trend was so easy to do. After buffing and filing my nails I used my L.A base coat varnish before painting two layers of the pastel blue over all of my nails. Top tip: Paint from your baby finger to your thumb to save your hand from smudging your nails as it moves across the hand. Once the the blue is dry, carefully paint the top half of your nails with a new colour. I thought my L&B metallic silver went great with the summer shade to create the perfect sparkly holiday look. I recommend to again do two coats of this. 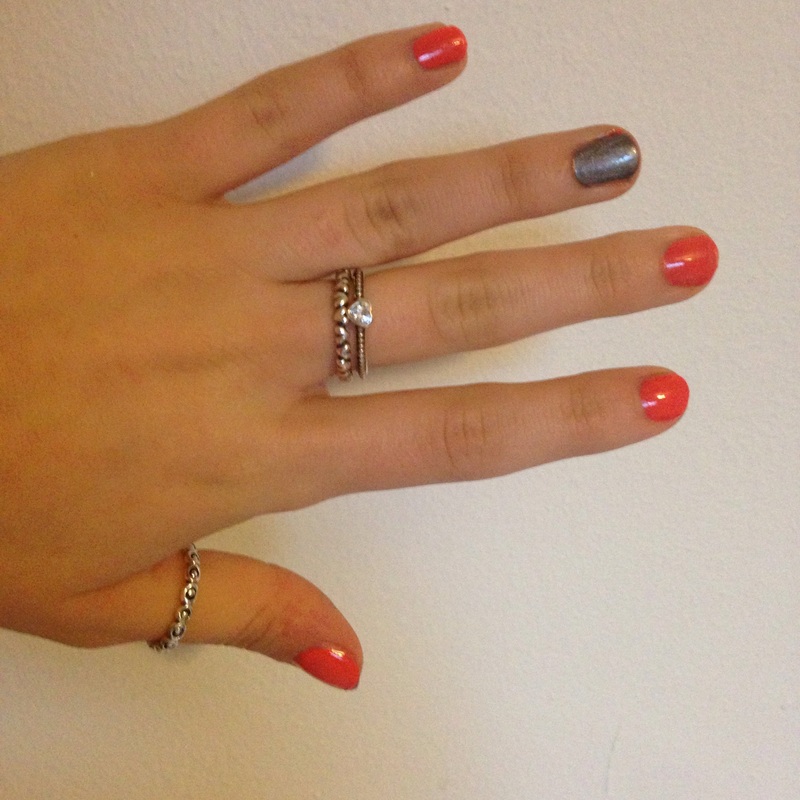 Barry M’s Gelly collection is great for shine and the shellac-like paint means it will last for a good length of time. To finish it off just add a top coat for extra shine and protection. And wahla the perfect birthday, holiday summertime block-print nails that will take you straight from sunbathing on the beach to dancing the night away at an Ibiza boat party! Easter is all about pretty pastel colours, Spring flowers and of course CHOCOLATE!! 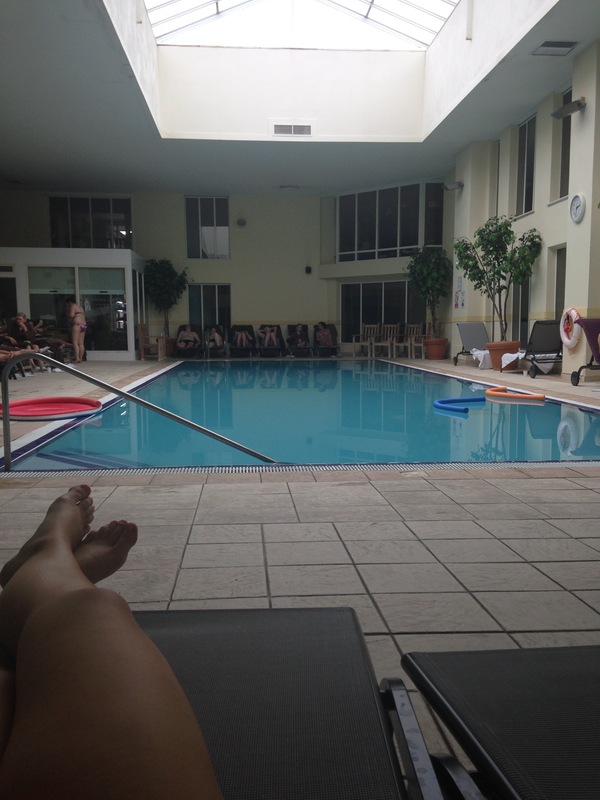 Oh how I can’t wait for this weekend to come after giving up chocolate for lent! I think I am going to absolutely gorge the whole of Sunday! 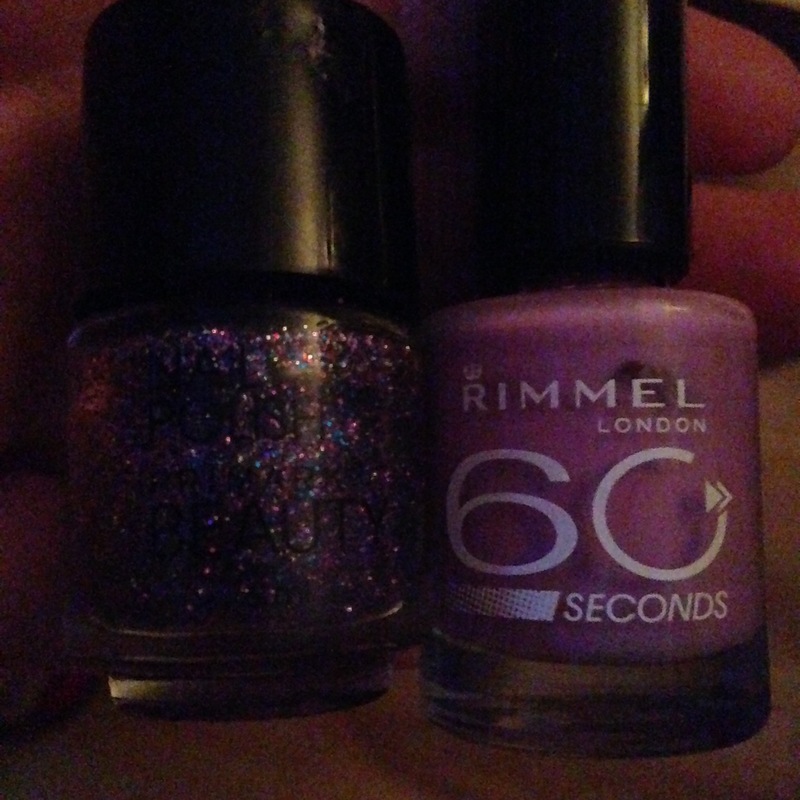 I used Rimmel London 60 second Sweet Lavender shade and Primark’s Beauty polish which I got in a Christmas nail set. 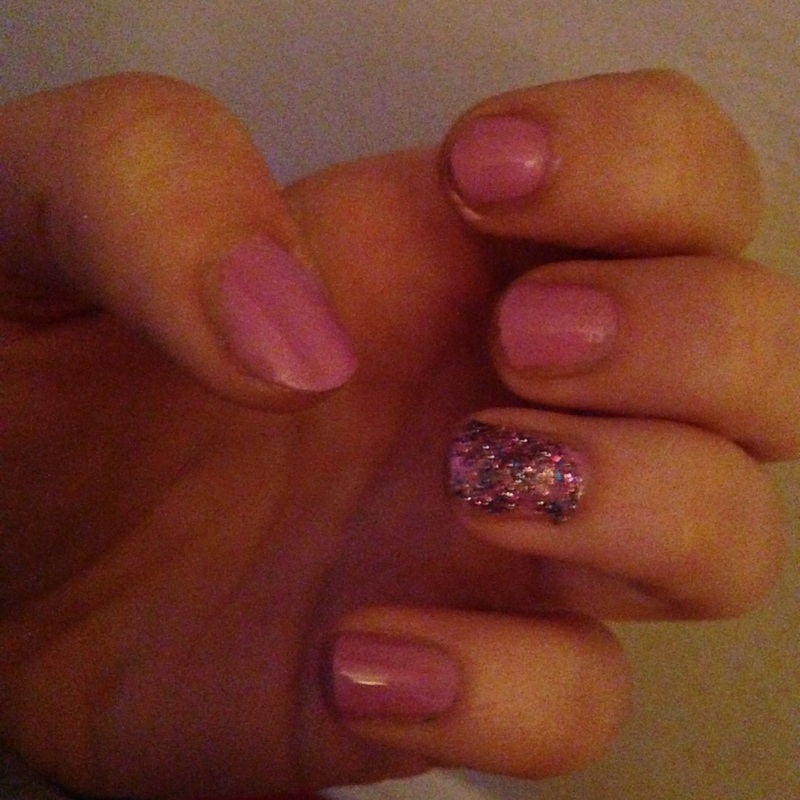 I love going the extra mile to make my nails stand out by adding some sparkle or another colour. I think the purple-tinged glitter polish looks just great against the subtle pastel shade to create these statement Easter party nails. I hope you all have a great Easter weekend and happy 1st of April!! I really fancied shining up my nails this week with a polish that would bring some shimmer to my nails. I went for this bold navy metallic shade which I got in a collection of L&B polishes at Christmas. The bottles are only tiny but boy do they last for ages and look good!